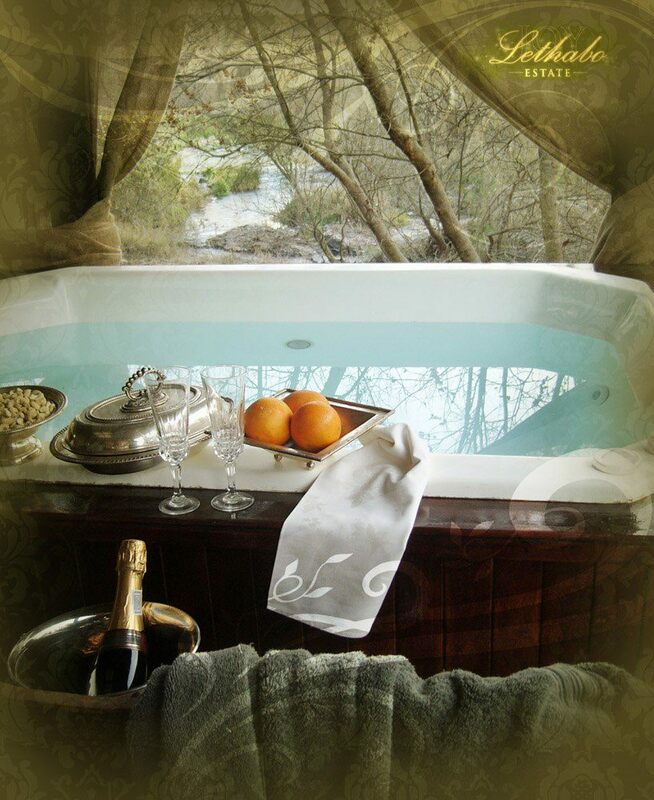 Lethabo is set on a hundred and fifty acres which straddles the Crocodile River in a steep valley. It is part of a greater 10 thousand hectare conservancy made up of likeminded neighbours. All these people are as passionate as we are about preserving the area’s natural beauty and wide open spaces. We have dropped our fences, raised our defenses in a united front preventing unscrupulous developers from covering our precious reserve with concrete and cars. We have reintroduced Zebra, Wildebeest and Giraffe and to our great joy have discovered many endemic species quietly living in ur midst like Nyala, Eland, Kudu, a pair of Brown Hyena, Leopard, Duiker, Reed Buck, Aardwolf, Jackal, Chervil, Mongoose, Cape Clawless Otter to name only some. Our bird life is spectacular too, Fish Eagles a Huge Martial Eagle graced us with his presence yesterday sitting 10 meters away from the river deck and wowing the guests and us. We have Kingfishers, shrikes, White faced Whistling Ducks, a guinea Fowl knocking on the glass door here as I write and of course our great pride is that the rare African Fin foot has chosen to nest across the dam where staff and guests alike voyeuristically peer over the rims of our coffee cups grouped like paparazzi hoping for a glimpse of this gorgeous elusive creature. Animals are our joy. The name “Lethabo” which means “Joy” in Tswana, was inspired by a horse that came here to recover or die. Navajo used to colic every week. When he arrived he stuck his head in the corner of his stable threatening anyone who attempted to enter with a jabbing hind leg and bared teeth. Within a week he was hanging his head out asking for treats bright eyed and bushy tailed and never colic ked again. Our dogs visit guests “guarding” them and , naturally assisting them should they need it with disposing of their food, our horses greet guests in the car park and often hang out outside the front door just to see what going on inside. They give joy to those of our guests who appreciate the relaxed farm style approach here which works hand in hand with the elegant comfortable environment. This you will see from our blog and Facebook postings where most of the photos and comments are about various animal interactions….and food! We adore really good food and our guest all rave! Our produce is fresh, best quality, organic and free range and mostly, the vegetables are from Steve’s heritage seed garden where tobacco or khaki bos teas are the only pesticides allowed! Lethabo was inspired by a dream of sustainability and to that end everything was built here to blend with the surrounding countryside using local material, rocks, thatch and stones as well as employing people who live locally to build it. In this way, we have supported the local community, both black and white, land owning and tenants. For example, Matsimela’s, (which means roots in Sotho), Spa products are used in our Spa and manufactured by the Nels, our across the river neighbours. 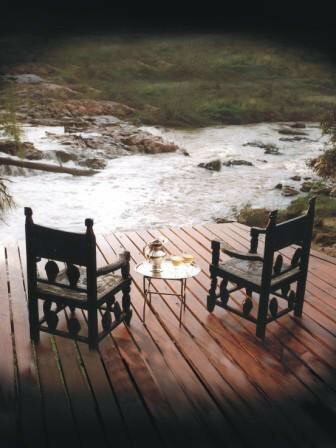 We will be here for a long time to come, having built a legacy of minimal interference; (we use only 5% of our total land which includes along with the buildings, driveways, paddocks and Kikuyu grass which is not indigenous), and maximum joy to our guests, who continue to flow through Lethabo bringing their many celebrations like the river that feeds our souls.